Popcorn Time is open source and its code is available on GitHub, you can build the app from source yourself and below you’ll find a script that does everything automatically. Important notice: Popcorn Time streams movies from torrents and that may be illegal in your country. Use it at your own risk! The application uses the YIFY movie torrents API and will not work if that’s blocked in your country. 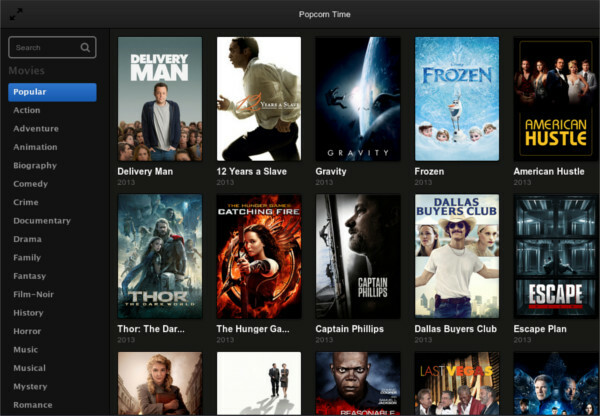 Arch Linux users can install Popcorn Time via AUR: latest beta | git.